Do you know the name of Napoleon's spouse? How about the number of moons known to orbit Saturn? What is the world's longest river? If you can answer all of these questions within 10 seconds, then HQ Trivia is a game made for you. Launched in late 2017, HQ Trivia has become a massive hit, and millions of players have already tested their general knowledge, likely hoping to win real money along the way. But while playing the game is easy, winning is not. That's why we've put together this list of tips and tricks that can boost your odds at winning HQ Trivia. One question, three possible answers, 10 seconds to pick. First, the basics. HQ Trivia is a mobile game available for free on iPhone and Android. Once you download and install HQ Trivia on your phone, you can create a free account using your mobile phone number. That's it! 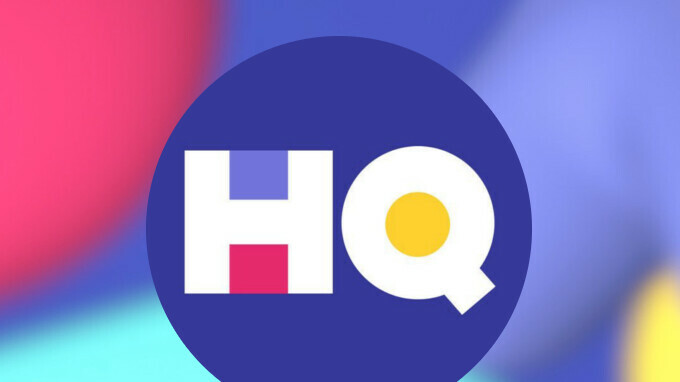 One thing that makes HQ Trivia different from other trivia games is that the shows are broadcast live on a daily basis. You can't really play anytime you want, but this hasn't stopped millions of people from joining anyway. Game shows are broadcast twice during weekdays – at 3:00PM and at 9:00PM EST – and only once on weekends, at 9:00PM EST. You will get a notification on your phone a few minutes before the game begins. Once the game starts, you'll be given a series of 12 multiple-choice questions. For each you have only 10 seconds to answer. The first few questions are easy, but they get harder as you progress. In fact, most people are usually eliminated by round 6; one wrong answer is all it takes. You can either stay and watch the rest of the game or use a life to continue playing. More on lives in a bit. How much money can you win playing HQ Trivia? The exact amount varies, but it is always bigger on weekends. For example, $15,000 were given away last Sunday. The prize currently stands at $2,500 for weekday games. It is important to note that the money is split between all who make it until the end. Winners usually get between $10 and $20, but we've seen the figure fluctuate between $6 and $75 per winner. Naturally, weekend games attract a lot more attention with their bigger bounty. HQ Trivia awards its winners with real money sent to their PayPal account. There's a catch, however: you may cash out your earnings only after you've won over $20, and you have 90 days to claim the cash. In other words, even if you play and win $19 once, you can't ask for your prize unless you win at least another $1 within a 90-day period. You need to be at least 17 years old to be eligible for a prize, and you may be asked to provide proof that you are you. UPDATE: The $20 threshold has been removed. You can now claim any amount that you've won playing HQ Trivia. While HQ Trivia is open to international players, questions are tailored to the US audience. Don't be surprised if an "easy" question deals with brands of butter or cereal mascots you've never heard of. But above all, much of the criticism HQ Trivia has been getting is related to the app's instability and issues with the livestream feed. It is not uncommon for the video to freeze or become garbled, and technical issues have caused more than a few games to be postponed. Brace yourselves with patience if you intend on playing regularly. Moreover, the game lets you continue playing if you get a question wrong by using lives, and lives are awarded when you refer a friend. But there have been multiple reports of players' lives mysteriously disappearing. A HQ Trivia representative did not immediately respond to our request for comment on the issue. Be ready. Each HQ Trivia game takes about 15 minutes. It doesn't seem like much, but you really, really don't want to be interrupted during this time when 10 seconds is all you have to answer. Be sure that you have sufficient battery charge and that you have a fast internet connection. Be confident with your answers. Once you mark one of the three possible answers, there's no going back. Give each question a few seconds of thought instead of hitting an answer impulsively. Some questions are tricky. But don't wait until the very last moment to answer. Bring your smartest friends along. There will be many HQ Trivia questions you won't know the answer to. But your friends might. Bringing several of them to play together will greatly increase your chances of winning, and if nobody knows the answer to a particular question, you can simply give different answers. At least some of you will then move on to the next round. Given the variety of topics the questions cover, it would be also wise to invite friends and family members that are much older or much younger than you. Use your referral link to get extra lives. We mentioned that lives are a part of HQ Trivia. These are gained by inviting friends using a referral link which you can generate from the app itself. Share it on social media or send it directly to friends who may be interested. You'll be awarded an extra life once they register and play their first game. Players can add a referral code even after they've registered. The "Add referral code" option is found in the app. If you fail, just keep trying. Play HQ Trivia frequently if you want to win. Whether you know the answers or not, with enough persistence, you'll make it to the end eventually. Cheating in HQ Trivia: is it possible? We feel obliged to address this because many try to make their way through HQ Trivia by cheating. And that's not an assumption: during shows, there's a spike in Google queries related to the game's questions. However, cheating HQ Trivia is extremely difficult when 10 seconds is hardly enough to look up anything. We strongly encourage you to just enjoy the game, preferably with friends, instead of trying to google your way to round 12. How do they make money? I've never seen any ads. They don't make money. They are venture capital backed with sole focus on popularity. What are they doing to fix the issue with extra lives disappearing? I had 3 extra lives and used one then when the game was over it showed my 2 extra lives until I tried the trick using two fingers pushing up on the page quickly to get an extra life! Instead of gaining an extra life I lost all my extra lives! !